15 minutes play...BumbleBeans Inc.: Helen's heart! updated! It grew and it is now finished! A seam at the bottom of the last stage was bothering me, and after re-reading your book (“stay away from 90 deg angles”) I unpicked a bit and added in a triangle of another fabric and I’m much happier with it now! 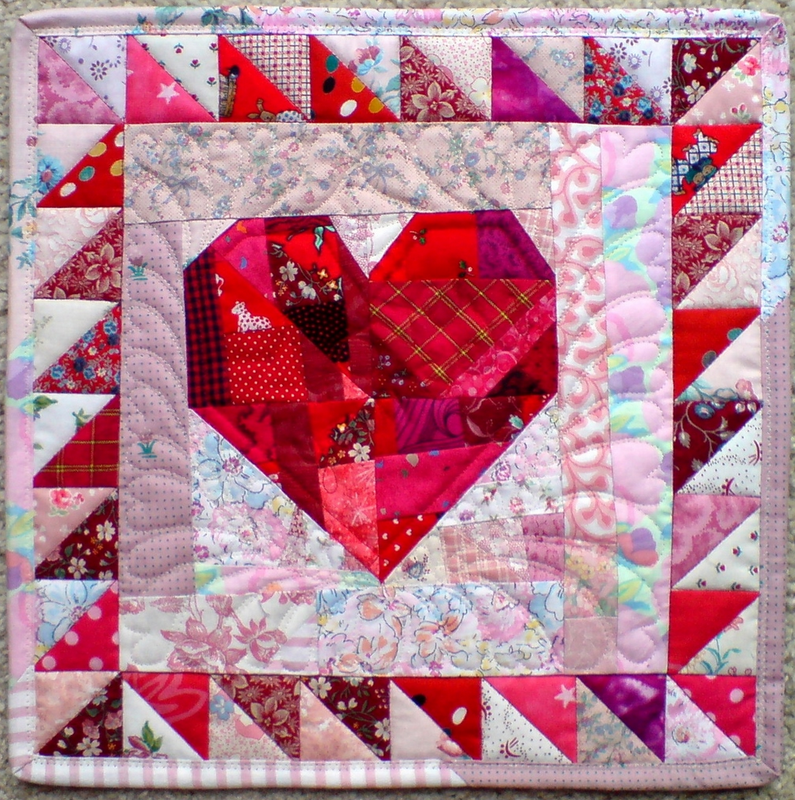 The finished piece incorporates some of my favourite things – lots of red, a sawtooth border (loved the one of the quilt on the cover of your book) and feather quilting. This is gorgeous! I just LOVE it! Your reds are to die for, Helen! Such an interesting array of prints that work together with your pinks. yes I agree with all of the above-it is wonderful! This is such a beautiful heart. The border really makes it special. I love it!